(CNS): The Cayman Islands’ premier has turned down an invitation to host the United Nation’s Special Committee on Decolonisation annual seminar here, his office revealed on Tuesday. 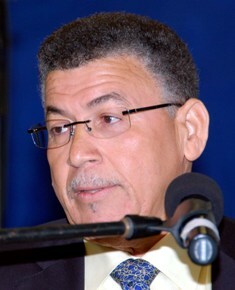 Despite a release from the United Nations stating that the meeting would be held in Cayman next month, officials from the premier’s office said that McKeeva Bush had written to committee chairman, Francisco Carrion-Mena, on Tuesday morning stating that it would not be possible for his government to host the meeting. Although no reasons have been given as to why Cayman is refusing the invitation, officials said the CIG had never agreed to have it here in the first place. The UN “had jumped the gun” when it said the meeting would be held in Cayman, officials added. In his letter to the UN committee’s chair the premier reportedly offered his appreciation and gratitude for the invitation to host the annual meeting but turned it down without explanation. The UN had released the information at the weekend indicating that the Cayman Islands had been selected following consideration of a number of factors in selecting the venue, including the political situation and logistics of several countries in the Caribbean. CNS has contacted the UN Decolonisation Committee to ask why it believed the CIG had already accepted the invitation and where the apparent miscommunication occurred and is awaiting a response. The news that the meeting was planned to be held here had received a warm welcome from local activist group, the People for Referendum, which pointed to the importance of holding these meetings in the remaining colonies or non-self governing territories (NSGT). The local group, which supports the idea that the Cayman Islands should move away from its current colonial status, said the matters discussed by this committee directly relate to the governance relationship between the territories and their respective administering power. The group said that holding seminars in the territories helps to educate the people about the governance options that the UN resolutions obligate all administering powers make available to the people in the territories. The group said the decision not to hold the committee’s seminar in the Cayman Islands after all will deprive Caymanians of a valuable educational opportunity on governance. “Whether we like it or not, in 1945 and again in 1960 it was the UK that put the Cayman Islands on the UN Non-Self-Governing Territories list; the UK was one of the six member states that drafted the establishment of the UN Special Committee on Decolonisation and they also drafted the governing rules between the Administering Powers and Non-Self-Governing Territories,” the PFR said. The group added that it was still important that Caymanians understand how their future is being discussed at these multinational meetings and that the public exercise their right of free speech. This is a missed opportunity for sure. With Mac spending so much on travel to “attract inward investment” and here we have a body such as the UN asking to hold a Conference here….and the Premier says no….with no reasons at all?? Seems suspect to me!! Continue speak about “Education, Transparency, Accountability and Good Governance” while keeping the masses and the International Community in the dark. keep the populace in the dark so they can’t see what’s going on. It would have been interesting to learn from it and see the position of the U.K. that many of us have a good idea of it already ! They are not interested in our decolonisation at this time because if it keeps going this way they will just send the big boys and take over. Don’t expect the Governor to get involved. Just read between the lines.And if it happens expect to pay taxes one day. But how? At the moment, there are a good few privately owned British (and American) companies earning substantial sums globally in offshore business, yes, but these companies are operating in independent nations as well. These companies (both the local offices and their global counterparts) would stand to lose a great deal of profit if a tax system were implemented, so I doubt many would be pushing for that. And even if a tax system were to be implemented, neither private companies nor the UK government would stand to gain anything. Taxes recovered would be used here in Cayman for our own purposes — or am I wrong? I they wanted Papa Mac to attend they should have held in Monte Carlo. It is said none are more hopelessly enslaved than those who falsely believe they are free.There is absolutely nothing wrong with simply opening or having a discussion on the matter what is it that you fear and your attempts to smother such discussion wreaks or self interest. The current volatile situation in the Middle East should be a prime example what happens when such discussions were suppressed and transition and change occurs and certain elements come to power and decide to continue their colonial master’s tactics and strategies to control the population’s basic freedoms and rights. The problem with keeping the people ignorant is they are the the ones more than likely to use violence to enforce and effect democratic changes in most places. Open and frank discussion is a positive step for all concerned. Those of you casting your lot with the premier are probably the same one calling him out for being a Dictator and Dictators hate democracy and its principals. Are you really that ignorant? This would have brought much needed cash to Cayman! What a shame. But I guess Mac and his entourage already have a trip planned for that week anyway. The one thing our fearless leader has shown, he has no vision what so ever except for investors that will destroy our land. Oil refineries, dredging of the NORTH SOUND and Murdering Our MANGROVE. If we don’t take a stand against the puppet master, we should jump in the sound while there are dredging it. 1. The U.N. is pushing for all countries who are regarded as "colonies" to be freed. 2. The U.N. have said that what they are not happy with, in terms of the U.K. is that it is either you are independent or you take their options – not yours. 3. This meeting will take place if we host it or not. 4. In the end it will be the U.K’s choice if we are independent not ours. However the upgrading of our constitution takes us one step closer towards the possibility of independence. The question will always be what will be our relationship after that time. And their are options but it would appear as if the U.K. will not offer them all to you. It is not the UK’s choice whether we are dependent or not. If we ever determine that we are capable of determining our own future, the UK will step aside. Maybe not anytime soon, but one day we will be ready. The UK’s take over was swift and aggressive and done without a vote from the people and included termination of democracy. Though the UK told the world that its action in Turks and Caicos would be temporary and decisions would include the input of local islanders, many local government officials and islanders were let go without cause, and decisions are not being shared. The UK took complete control over the finances as well as Crown land. THE U.N. was coming here to share with us what was going on and probably will happen here. This has nothing to do with independence! But our basic freedoms and human rights being respected by the Mother country. I don’t what’s wrong with Mac! The U.N. did not invite itself to the Cayman Islands to hold its seminar. It was responding to an invitation from the UK! The UN assumed that the UK had the concurrence of the CI government, but not so.The question is, how can the UK agree to have the UN seminar in the Cayman without the OK from the CIG? Or was the UK trying to elicit a negative response from the CIG who announced that they were not aware of the situation, and in the process, placing the U.N. in a negative light? The U.N. staff which advises the UN committee should have made sure that the CIG was on board with hosting the seminar (which is funded by the U.N., not by the host government). This would have saved embarrassment on the part of all concerned. Regarding the UK and the Decolonization Committee- the UK vetoes every opportunity by UN members to advance the Cayman Islands and other like territories to become independent. The UK also suggest that our new constitution shows that we are have self control but cannot fully rule ourselves yet and have asked that we be TAKEN off the list…nice slight of hand when you read the last three pages attached to the “new constitution’. Paraphrasing ‘ we will endeavor to abide by this document unless our contract with you actually conflicts with the UK best interests, then we will ignore it, hope you understand”. Everybody is fooling everybody here. However, do not want to see any talk about UN decolonization committee in Cayman. If we need a discussion on advancement (or the new buzz word, Governance), we can go on the internet and read it for ourselves. Even if the conference was held here, chances are the local populace would have heard very little about it. I have not heard a single word that Bill Clinton had to say when he was here. Oh I forgot. That would have cost me $1500.00. Its maybe for the best, we don’t want McKeeva going off on one of his ‘rants’ in front of the whole world..
Are you thinking that maybe we have all missed something already? The governors office is supposed to host such events. The governor is sitting back not showing his face at all and he should be taking the lead in such matters. I think we have already gone through the process of self determination with Big Mac at the wheel. All that’s left to be done is to announce the date of Independence! Who is going to pay for us to buy our freedom from the UK Dart? He doesn’t have that much money! IT WILL COST TRILLIONS OF POUNDS! Good stuff for Austin and Gilbert!! Boy Mac you sure keeping Hurley’s entertainment in business..How much they paying you? Mac, of course, we are not for INDEPENDENCE, how can we manage on our own without a protectorate! However, likewise, we are not for our human rights being undermined by a UK dictator! Hence, by you turning down the UN for public talks… is just not right! Turning it down was wise. Can you imagine the outcry if we hosted it and then people asked, and found out how much it COST us to host it? And trust me – it would not be cheap!!! As I see it, the UK gives us two options – Independence and Dependence. It is interesting, she speaks nothing about giving us Free Association where we can have our own local Governor and Commissioner of police, and can deal with our own internal affairs. It is also interesting that they have not given us the option of integrating with Great Britian where we would be allowed to participate in voting in the UK’s elections. They have always considered us as natives. Talk about democracy. The UN is right. They have deliberately limited our scope of freedom and has used the consequences of the two options like a coin, one side Independence and the other side, Dependence as a fear factor to keep us under control. Now we have McKeeva barking about Independence when this whole thing was really about educating the public about him. You are an idiot….do you think you can get all the benefits of a UK citizen such as voting without paying taxes? In truth, I don’t suppose the UK gives much thought to Cayman at all, except on those occasions when our local laws and constitution land them in hot water over human rights issues or our "tax-have" reputation (I know it is not an accurate reflection, but that is how we are often portrayed in the foreign press) is splashed all over the papers. What exactly is the benefit to the UK from holding Cayman as a dependent territory? I would guess it means a lot of administrative work, some diplomacy headaches, and little else. It isn’t like we’re paying taxes in the UK. To those giving thumbs-down, I am curious to know what benefits you feel the UK reaps from continuing to hold Cayman as a dependent territory. Just honestly curious…not attacking. Spoiled children do not offer much help to doting parents. My vote is NO to Independence and PLEASE your Majesty do not leave us to suffer our own politicians!!! If not for the Queens photo at Goverment offices and the Post Office I would cringe to think Big Mac was my only “leader”. I remain a Caymanian Loyal to the crown, just as m grandfather and great- grandfather were! @ Libertaran – you although this has nothing to do with independence, I can’t stand a dictator whether he be local or the governor. It amazes me how much the premier is so scared of freedom of speech and the UN speaking on important matters regarding our democracy. Unfortunately, we have 2 governments to be wary of unlike most places. Considering the ongoing geopolitical climate of the world today – this was a sound decision by the Premier and CIG. There is too strong possibility of a negative reaction by way of rampant speculation, not to mention malicious fear mongering by our competitors, to allow such a forum to take place in the Cayman Islands today. Wrong place, wrong time – simple. I support this particular decision. The meeting will be held whether it be here or somewhere else. Only the dumbest of the dumb would suggest that it is best not to listen to someone who is discussing your future. This is just another example of Macdinejad making decisions without consulting with anyone, or only consulting with people dumber than himself. Although, it’s hard to imagine where he can find people of that calibre at short notice. My objection is not to the meeting itself, and you have raised valid points however, for the Cayman Islands to host such a forum at this time only creates the potential for more (immediate) harm than good. I would encourage the Cayman Islands to be present at the discussions – but I do not support the notion of us hosting the event. The attitudes of the world have reverted back to the same old rhetoric within the last 2-3 years. A quick analysis of the sociopolitical concerns at the forefront today (USA, UK, EU) clearly confirms this sad state of affairs. Furthermore, so long as the money is ‘not right’ in the world this is the way things shall remain. Therefore, who knows how long it will be before we can ‘safely’ explore the idea of seeking our independence. We did not create the rules or design the game – we are but mere players on the board. Until the masses get their minds right we are more or less limited to within the boundaries of their mindset. For example, as we can all see by the comments on this thread – even many (expat) folks who are living in this country and ought to know better than aligning us with half a century old fates of regional countries have opted to raise these ridiculous and irrelevant fears. Tell me now – what hope is there for an investor half way around the world that has never set foot in this country to maintain a fair and balanced opinion of this predominantly non-white, Caribbean island nation surrounded by, yet worlds apart from, arguably ‘failed’ nations. What a pile of meandering horse manure. My points were very succinct. 1. They will hold the meeting and we have no say in that matter. 2. Why not have it here where everyone can hear for themselves what they are saying? You seem to imply that if it is better for Cayman if it is held elsewhere and we send delegates who can return with a watered down UDP version of the proceedings to spoon feed the uneducated voting masses. The business of the UN Committee is not to tell us to go independent, but instead to tell us about our options. The UK says there are two options, independence or status quo. The UN says there are other options including free association with limited self-governance. Despite the best efforts of Billy Adam, Pastor Al, Sophia Harris et al, more than 50% of the electorate have no clue than the UN has been pushing the UK to offer other options. In the same way the UK can exert influence over us, the UN can exert influence over the UK. By having the meeting here, the proceedings could be reported on locally and by the UK press, thus leading to a better informed electorate. I believe our main source of conflict here is that you are focusing on a domestic / national perspective on the matter, whereas I, on the other hand, am focusing on the perspective of outward / international fears and concerns. Even if all you have said is actually true – it will not go a long way in the everyday life of the real world. As for "the UN can exert influence over the UK" – I would not advise anyone to make a decision with such a notion as their insurance policy. If the UK managed to illegally co-invade another nation based on a pack of maliciously orchestrated lies, killing hundreds of thousands in the process, all in the face of the UN (and the rest of the world) … just imagine how easy it would be for them to wreck all that we have going on here? What would be our available recourse thereafter? A lawsuit via the relevant international UN courts and procedures? The damage would have long been done. Long time no sword cross, so it is disappointing that I have to agree with your position, although I don’t know if we got there by the same route! There is every chance that a vocal minority in favour of independence and motivated by an unknown agenda disguised as patriotism, would hi-jack the media and present to the world an image not reflective of the wishes of the majority of Caymanians. There is only potential downside in this for the islands. How many on this thread understand that from the UN’s point of view, maintaining the existing relationship with the UK is not an option? The UN recognises only independence, free association or integration as solutions. Maintaining the status quo is not recognised as a solution, so the likely will of the majority of Caymanians is ignored on ideologic grounds from the outset. Good God, in his infinite wisdom, for once I agree with you.Definitely wrong time and place. Maybe thats why they wanted it here. For all those who like to rant on this issue stay tuned to Super Tuesday to listen to Independence Ezzard whine about this seminar not being held in Cayman. I suspect many people don’t care about this seminar but they love another reason to bash McKeeva. Agreed…the meeting would have been closed to the public. And here is the best part…the minutes of the meetings are not really carried by the press anyways. Where is the coverage from the previous meetings? I think everyone knows by now that this has nothing to do with Independence, but McKeeva’s image and the image of the FCO after they ordered Full British Rule on TCI. They fear the Middle East unrest and the UN’s messengers. I guess the UN didn’t get the previous memo, Mac goes to conferences, conferences don’t go to Mac. If he allows them to start with this kinda crap, it is going to seriously affect the air miles target for this term in office. okay am a little bothered by this but will reserve comment until clarity can be shed on his reasons. I do entertain the thought of the FCO not being happy. And since we need to wag our tail to get loan approvals we would not want master upset – a difficult position no doubt. Ironially, the committe seeks to free us of this type of “mental slavery”. Was also wondering: did he turn down an offer for Government to foot the bill? If so, if the UN choose this territory could they not just come and prehaps the the people for referendum assist or seek sponsorship to help if needed? The thing that is not being said here is the message that would be sent to the financial community – the Cayman Islands is entertaining the idea of independence. I dont agree with bush generally but this time he got it right. So keeping the UN out to educate the public on their rights which could easily be trampled on by our administering government, is avoiding Independence? Man, what you smoken! What does this have to do with our financial industry! If the UK wants, they can easily destroy it in a matter of days like they did to Turks & Cacois. Do not worry my good folks, the truth shall soon come to light. The reason for this snub shall be revealed. We need to know. The video on youtube just shows even more why the uk should take us over. The people of Cayman don’t know what democracy is and don’t intend to know. We have always elected our MLA’s that means us no good, and we have always followed and sang god save the queen – but we have never led out! So I hope they take us over – we don’t need a democracy here. I have just viewed the video @ the link posted. You are undeniably correct. It is soothe saying hypocracy at it’s best. All in the same breathe the Turk’s & Caicos governor contradicts himself, midway through ‘we must focus on sustainable development’ end part ‘we must safeguard fundamental assets for future generations’. In definition,sustained can contrast significantly from sustainable,but ultimately,obviously it means the same thing. It’s the usual looping of words,post shifting,subtle non-sense we accept from the Uk,under the guise of good governance. He turned it down so that it will be held somewhere else which means he gets to travel again. It’s been at least a week since he has been on a plane so he needs to get back in the air. He turned it down so that it will be held somewhere else which means also he get knighted by the Queen – a royal gong! Everyone knows that this has to do with maintaining colonial powers over the territories without them knowing the options of liberty. I am not for independence, but I am not formy voice snuffed or representation undermined because of a figure head. Can’t Please these people.If he hosted it- it would be considered wasting tax payers money – now that he his not hosting it- he still not doing the right thing. He is damed if he do – and dam if he don’t- Una ever wondered why we are in such a mess. everyone wants the politatians to please them. What did you expect. If the conference were held here then the members of government would miss out on a trip !!!!!!! We could have the UN here four times a month on weekend get away’s for the cost of a Macnomic’s trip. Well if they decide on somewhere exotic and far away I’m sure the Premier and a delegation will attend. Mr Bush in this instance is displaying the qualities of a good leader, this conference serves no useful purpose to the people of Cayman. I’m sure he would have been more interested if the meeting had taken place in a different country with casinos, fine hotels, and restaurants. He’s right on this one. Mr Bush for those of us that dont know,i would like you to tell the people of this country your reason’s for refusing a visit from a WORLD body. Anything that may break your strangle hold on the real Caymanian’s of this country & inform them is a serious problem for you & other’s. Your immigration fiasco’s alone have ruined this country. Look at the businesses popping up,you have made it fashionable for Caymanian’s to have nothing. You’ve figured out what to do now & in 2013,so have we. However this one must be perplexing for some on this political blog….Have Mac HOST the UN group and lead us to become independent, allowing us to really completely rule ourselves or…agree with Mac and UK that we are not ready to rule ourselves..which is it?? …or is it we just disagree with anything Mac says even it is the correct thing for us?? Turning down the UN at the last minute demonstrates complete ongoing chaos in the Premier’s Ministry. What is going on? The whole country is left with egg on its face. Whether you agree with independence or not is completely irrelevant. How did this get cocked up? Here are some of the 24 members of this "concerned about Cayman" group. Bolivia, Chile, Cuba, Iran, Iraq, Russia, Nicaragua, and Venezuela. Not present, Canada, U.K. Australia, New Zealand, Norway, Sweden, Holland, Switzerland, Finland, etc, ie. countries with admirable human development track records. Instead of calling it the United Nations for Decolonization, lets call it Chavez’s plan to destabilize. LOL. :”admirable human development records”. You have merely identified Western European countries and their former, European dominated, dominions. Let’s call it insufficient information & wayward typing. All of the states/countries you seem to suggest that are not part of the UN are (member states) as well as a additional one hundred & seventy five,which i wont be listing at this time. Mac is a pretty sorry leader. He never misses an opportunity to make himself look ridiculous and before a world body at that. Now we miss out on the money they would have spent. What a loser. I want to thank Mac for once again knowing better than the people that elected him. We hosted the Caribbean speakers convention to help them enhance democracy. Yet our Speaker is only concerned about the UDP. Why did we allow that???? Hosting a gathering of people to exchange views is healthy. It is what democracy is about. Dictatorial jurisdictions would not allow that. Opps… maybe I am on to something. While I have not a lot of time for the way the UK (FCO technocrats) currently rules Cayman and the OTs, I absolutely have no interest at this point in a UN decolonization committee. Caymanians have shown NO indication that they want to leave the UK. Anyone that is pushing this concept is doing so against the wishes of the Caymanian people. I agree with the Government to turn down the request. Now I wonder what is going to take place in Cayman next month that The Premier does not want highlighted to the world, as would happen if any UN meeting was taking place here! Not sure I can agree, surely hosting the conference and listening to what is being discussed, then making a decision is the way to go rather than turning it down before any arguments are posed? I must admit I know nothing of the proposals and maybe some of the suggestions could be explored and adopted as fits Cayman best. I’m fairly sure it’s not going to be a travelling road show to force independence. It’s not a very enlightened choice. Regardless of whether Caymanians deem themselves capable of determining their own future, they need to be educated on the options. This committee isn’t trying to push decolonization down our throat. They are simply have open discussions on the nature of our relationship with the UK. Can you really say that this relationship is perfect? Isthere nothing about this relationship that could be improved? I guess Caymanians will continue to live in the dark on this issue and apparently this is how the Premier would like it. How can anyone possibly be against the education of our people? Real Caymanians were BORN British Citizens….we had British passports until the mid 1970s when the UK Parliament took them away and started this BDTC and BOTC nonsense. Read your history. This is not a ‘perk of BOTCs”…they merely restored us as British citizens after getting rid of the millions of potential people in Hong Kong– they were concerned those folks would have overwhelmed London when the Chinese took over. The rest of us combined only totaled 350,000 – easy to lose even in the 3 million daily passengers on the TUBE on any given day, Nice clever move of UK. So CIG is spending untold amounts of money (that they report we don’t have) to travel the world, first class too, to “bring inward investment ($$$) to Cayman (and to attend cell phone conferences) but when “The United Nations” wants to hold a conference here (which will bring in money…and provide much needed education) then, MadMac says “no!”….with no attempt at any sort of reason?? This man seems intent on completely destroying what limited international reputaion Cayman has left. People….we need to march….and demand he goes! I am happy that the Premier is seeing out of both eyes. Does Cayman really think the UN mean us any good. Thank again. You mean does the UK colonial policies mean us any good??? What have the British ever done for us? Apart from the politico-legal underpinning which is the reason for our prominence in the offshore financial world which is turn is the foundation of our economy, the lack of direct taxation and the privileged position Cayman is in compared to other Caribbean islands. Apart from that what have the British ever done for us? And apart from the ability to borrow on international capital markets at favourable rates because we are a British territory? Apart from that what have the British ever done for us? Err.. these are not things that Britain has “done” for us. err .. ok … the aquaduct. Actually, he is trying to protect his reputation (what little is left). Africa wasn’t happy when the UN came in whilst the RUF was terrorising little villages either. Because the truth of the occurences brought about the end of their slave diamond mining and exportation and billions of dollars in ‘blood’ revenue for their rip-off governments own pleasure. So apparently there is still alot, despite international press, that goes on within our little hush hush islands that our premier does not wish to have exposed. He also does not want anyone reinforcing what we CNS commentors already see clear, this man needs to be ousted!! !